Globular cluster in Pegasus is very far from Earth, specifically 33 600 light years and its diameter is approximately 175 light years. 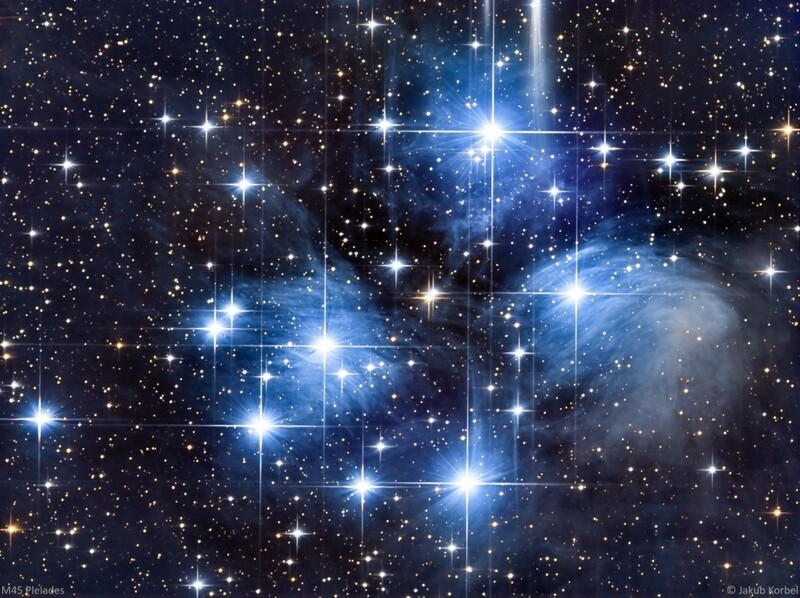 It contains more than 100 000 stars. 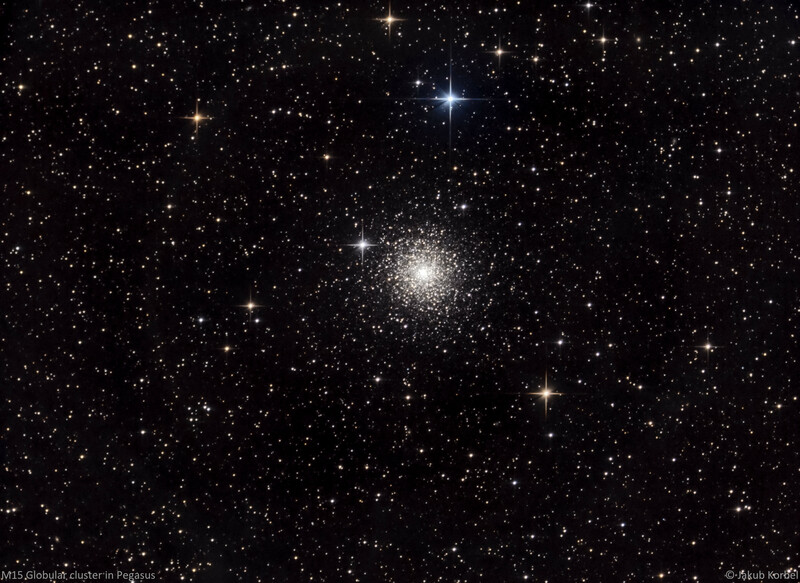 Most of the globular clusters are quite bright (M15 has magnitude 6.2), therefore there is no long exposure required. On the other hand longer exposures might overexpose the core, therefore I selected exposure time to 2 minutes. Visual angle (visual size) of this nebula is several times bigger than visual angle/size of the full Moon; therefore I had to use the shortest focal length I have available. For DSOs like that I have small newton telescope with aperture 150 mm and focal length 600 mm. The focal length was reduced by ASA reducer to 438 mm. 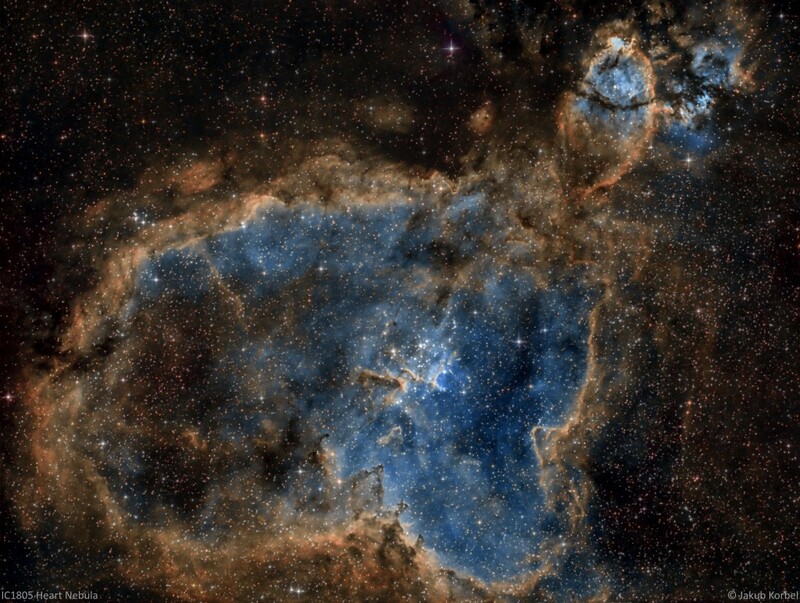 Heart nebula is very dim DSO; therefore narrow band is good option to get some contrast. I managed to collect a lot of data for all 3 channels: Ha, OIII and SII. Final picture was composed in Hubble palette. This means OIII goes into blue, Ha in green and SII into red channel. 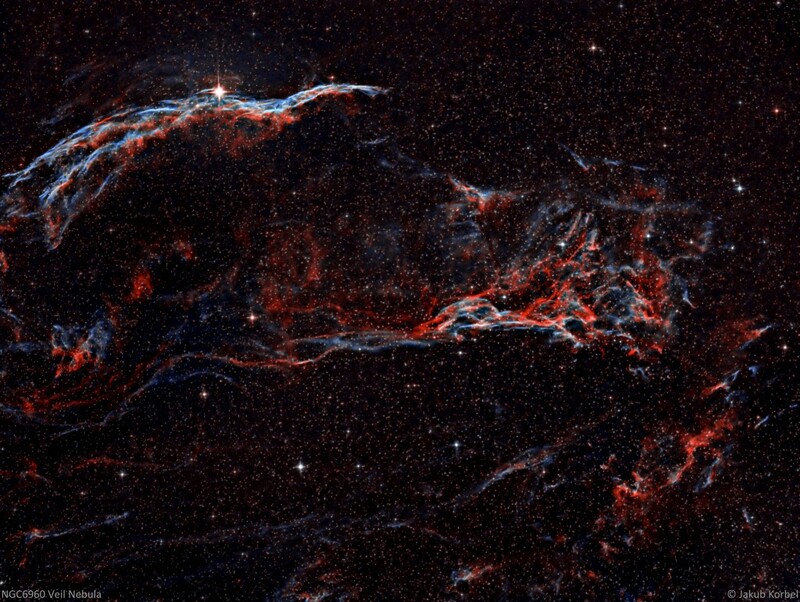 For the third time I am trying to capture whole Veil nebula, but again, there is part missing. This time I used the smallest telescope, I have at home – newton 150/600, reduced to focal length 438 mm, by ASA 0.73 reducer. This picture contain the first picture in left top corner and the second picture in right bottom corner. Anyway, there is still something missing, therefore next time I have to reduce the focal length even more or do a mosaic. Andromeda galaxy is the closed galaxy of our home – Milky Way galaxy. 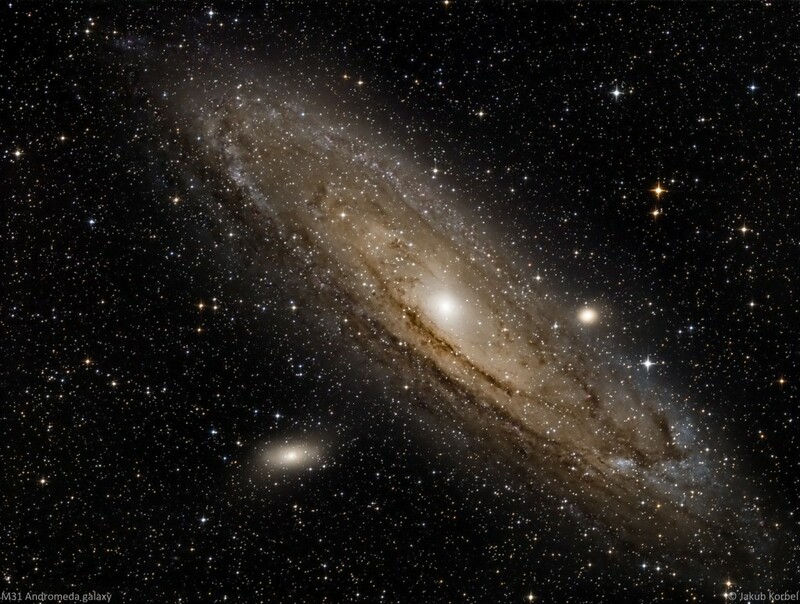 The diameter of Andromeda is approximately 220,000 light years; which is twice more than has Milky Way. It’s only 2.5 million lights away and it’s getting closer. The collision with the Milky Way is predicted to happen in approximately 4 billion years.